Best of all, for a limited time, the pack can be yours for the special introductory price of just USD $20 (that�s 60% off). With 101 presets to choose from, Cole�s done the hard work for you so you can get the perfect edit for every photo without any fuss. Simply apply the effect and adjust as desired� It�s that easy! You�ll save a whole heap of processing time, while giving your images an instant �pop�. If you haven�t used presets before? No worries. Full instructions are included in the pack and as with all our products if you pick it up and don�t find it�s for you � you can ask for your money back anytime within 60 days and we�ll give you a full refund. Transform your photos in just one click. 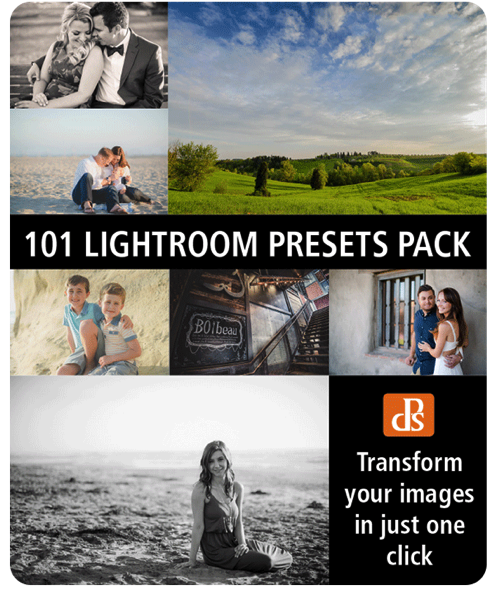 Pick up our 101 Lightroom Presets Pack today! *Please note: a copy of Adobe Lightroom is required to use these presets.